Above: George of VetDogs. All photos courtesy of VetDogs & the Guide Dog Foundation. Last month I stumbled across a five year old program that I had not heard about before. It is called VetDogs and is a project of the Guide Dog Foundation for the Blind. Now you may have heard about this program before because George, a two-year-old Golden Retriever, appeared on the Fox News channel in 2006 when he was placed at the Walter Reed Army Medical Center to provide both physical and emotional support for Iraq and Afghanistan veterans. The project was created in collaboration with the US Military and Department of Veteran Affairs. It actually began in 2003 but only became a 501©(3) corporation in 2006. 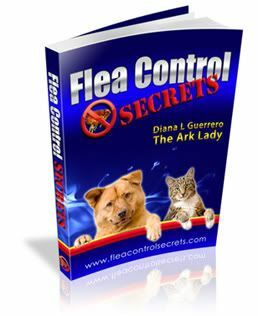 Helping those who have served our country honorably to live with dignity and independence whether they are visually impaired or have other special needs, by using guide dogs, service dogs, and other innovative technologies. VetDogs trains the dogs for veterans who are blind or visually impaired. 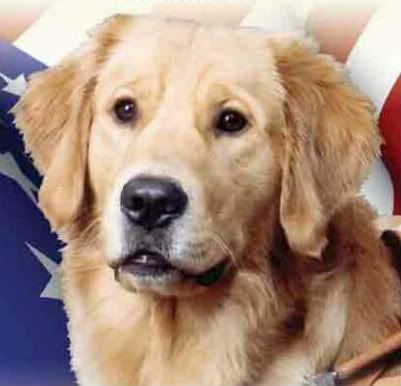 They also provide service dogs for those veterans and active duty personnel with other disabilities. The dogs not only help provide stability and mobility but also fetch and retrieve for their partners. 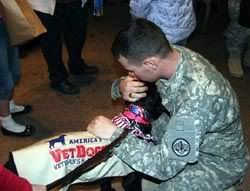 In addition, the dogs provide emotional support for those suffering from post-traumatic stress syndrome. Boe and Budge, two military therapy dogs, were deployed to Iraq as Sergeants First Class attached to the 85th Medical Detachment. The two worked with Combat Stress Control Teams and assisted soldiers having trouble with combat, sleep, and related issues. The two wear special Doggles to protect their eyes and “mutt muffs” to protect their ears while flying. Read more in this PDF or read a personal account with pictures of Boe from the field. If you are wondering about the history of VetDogs and today’s guide dog training—the work actually has roots in Germany post World War I. The idea began as a way to use dogs to assist those veterans who were blinded in the war. Interest peaked after a 1927 magazine article covered the project which catalyzed the first guide dog school in America. It wasn’t until after World War II when a group of New York civic leaders formed Guiding Eyes, Inc which later became the Guide Dog Foundation for the Blind (the parent organization to VetDogs). Today the foundation has a national administrative center, training kennel, and puppy nursery And (according to representatives) 85% of all funds raised go toward program expenses while administrative and fundraising costs are estimated at 15% of all funds raised. If you are in Fort Worth on October 11-12, 2008 catch some of the pups and get more information on the K-9 Corps while enjoying the 19th Annual Fort Worth Alliance Air Show. 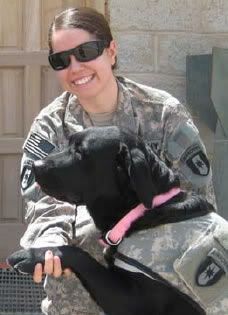 A VetDogs fundraiser is scheduled for November 9-10, 2008 at the Your Gift for Life Celebrity Gold Classic and Gala in Palm Beach Florida.